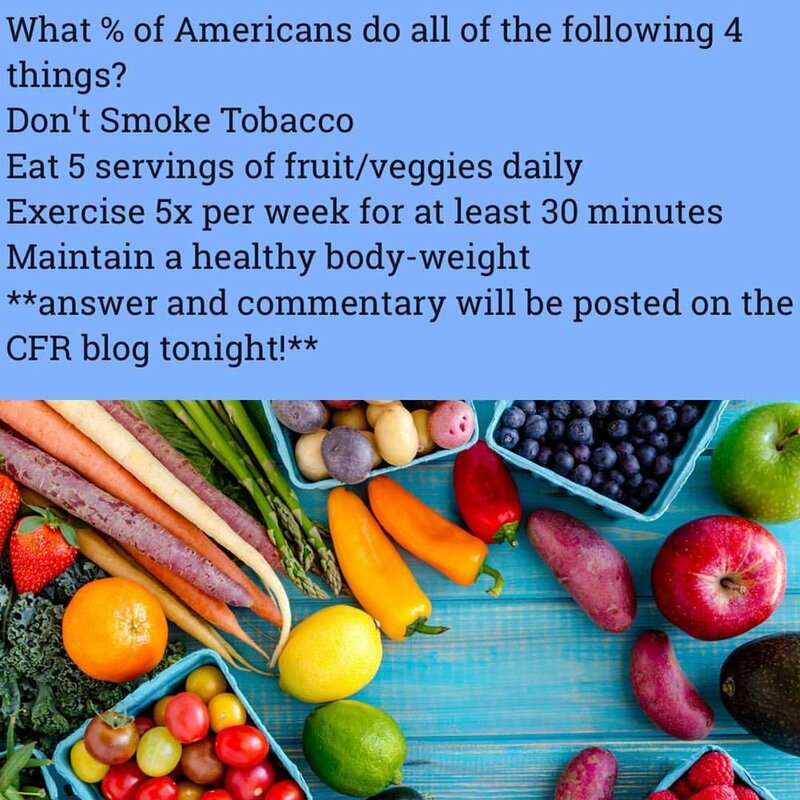 Four percent of Americans are either smokers, not eating plants (fruits/vegetables), not moving around, and/or are missing out on their genetic physique. That’s 316 million people in the US! My main point of posting that on social media today was to illustrate the large number of folks out there who are not even close to doing the fundamentals of a healthy lifestyle. It’s absolutely staggering to me. I think the most concerning category is the first one. Smoking can be replaced with alcohol, drugs, or excess sugar. All these items are poisons and it’s best to avoid them as much as possible. Not eating enough plants is highly common. I am definitely guilty of this on occasion and I am constantly figuring out ways to build my meals around plants. They are hard to overeat, provide us micronutrients (vitamins, minerals, phytochemicals) and protect us from disease. A great goal everyday is try and get 5 servings of plants in our diets. Exercise is something our community gets A LOT of. CrossFit workouts are awesome because they provide so much variety. My recommendation to our folks is to complement their CrossFit workouts with walking, stretching, playing sports, and sleeping (as much as possible). If the first 3 items are dialed in, the final piece (a healthy body weight) will easily fall into place. It’s very difficult to be overweight after years of eating whole foods, not smoking/doing drugs, and exercising regularly. I am definitely guilty of getting overly excited with a new supplement or a superfood like spirulina, goji berries or maca root. Those items have their place for sure, but if the fundamentals of health are not present, they will not make up for a serious lack of the basics. So, eat whole foods, don’t eat poisons, move around, and have fun!